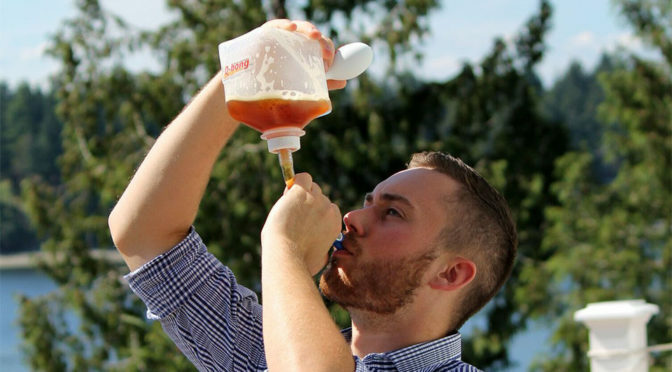 Forget about regular beer bongs. They are cumbersome, slow, and perhaps most dreadful is, traditional beer bong needs two at least two person to operate. Hardly an acceptable practice in this world that’s pride itself in efficiency even when at play. This is where Q-bong Pressurized Beer Bong Funnel comes in. No charging required, btw. Q-bong Pressurized Beer Bong Funnel is essentially the beer bong you come to accustom with, but with a handful of neat tricks, including a one-hand operation dispensing valve for one-man-operation, kink-resistance thick walled hose, compact design for easy carry around, and perhaps most importantly, it is pressurized so you can chug down your favorite booze faster than you can imagine. How’s that for speed chugging? But why the speed? I don’t know. Perhaps, speed means you can drink more and/or get drunk quicker? It is dead simple to operate too. 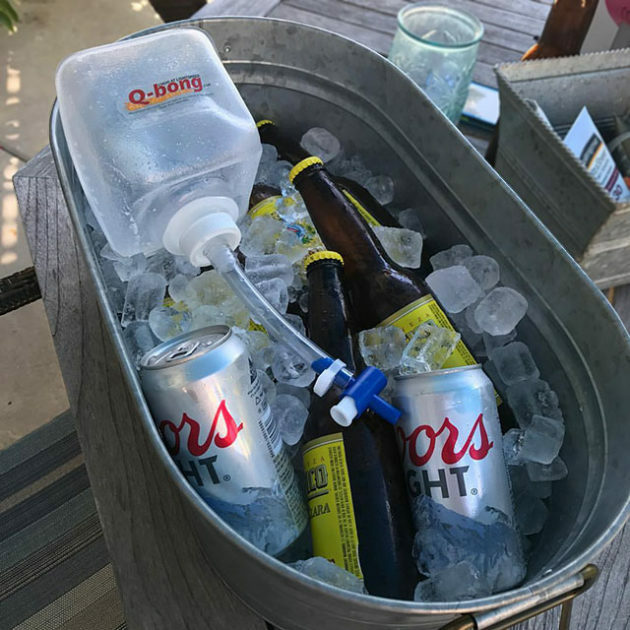 Just top up the reservoir with your favorite beer and capped it, work the air bulb like there’s no tomorrow (or just to your desired pressure, really), and you are all set for a good time. To drink, you will just need to raise the reservoir (the bong) to a level higher than your mouth with one hand, direct the dispensing valve to your mouth and with your other hand, squeeze the trigger and fire away. 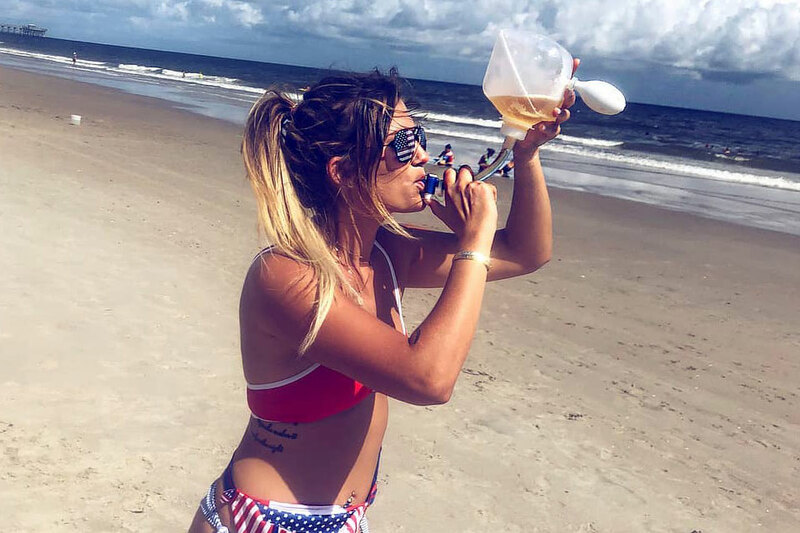 I’d say it is the best invention for college beer party since college party was invented, but clearly, it is not for everyone. To some, it could be a party pooper. I’d overlook the potential downside because, with it, I can even chug a can or two onboard a one-person kayak. Now, that’s a blessing! But seriously, don’t do that. Else, you will be too drunk to paddle back. 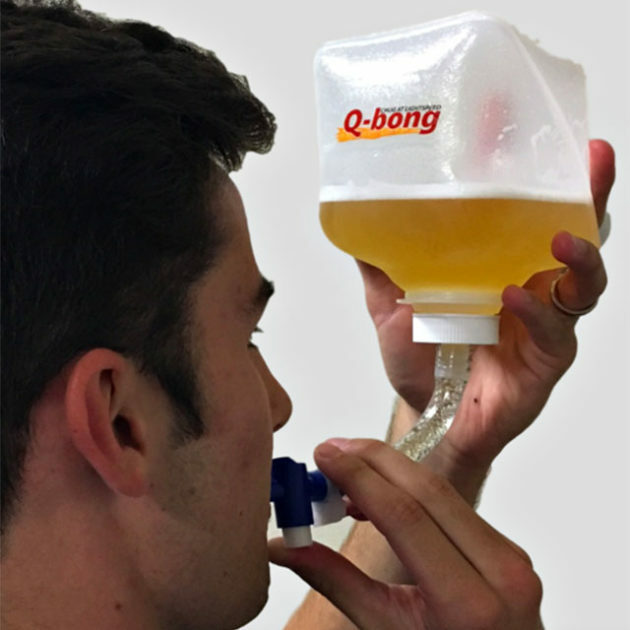 If you down for it, you can find Q-bong Pressurized Beer Bong Funnel on Amazon, going for just $19.99 a pop. 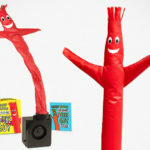 Wacky Waving Inflatable Tube Guy Because, You Know You Want It!